Get The Best Stall Fabricator, Be The Star Of The Exhibition! If you have ever attended an exhibition, you would know how different companies go out of their way to create that distinctive brand appeal in the limited space allotted to them. With various stalls – all of them designed to capture the attention of customers – trying to impress the potential customers, it becomes imperative that your exhibition stall stands out with its creative design and customer engagement. 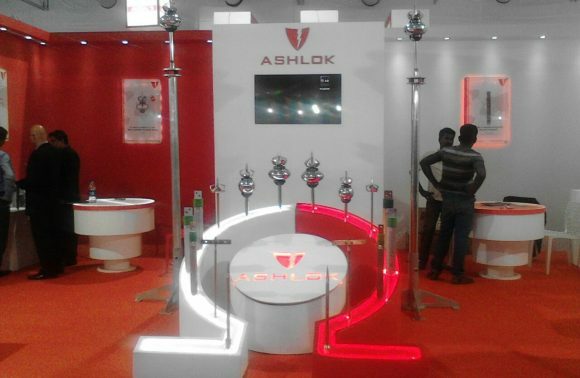 Several exhibition stall fabricators in Chennai and other cities are highly experienced in creating success stories out of their design and fabrication concepts. Exhibitions are one of the best tools for direct marketing, and it is perfect for product launches and promotions. It also helps you to take stock of the competition present in the market. Customer satisfaction levels can also be more or less accurately gauged during these interactions. These are the reasons many companies are willing to spend their money and time by participating in exhibitions and expos. But, it is also important to ensure that your resources are not wasted because of a poorly designed or fabricated stall. There are many significant considerations to be taken into account when choosing an exhibition stall fabricator. It is not a job that you can entrust just about anyone with. Remember that when you are designing a stall, you are designing the face of your brand. And, it doesn’t stop with just designing. A design will not get translated into a wonderful customer experience unless is it well-executed in the form of a professionally fabricated stall. It is at this fabrication stage that a lot of companies falter by choosing wrong companies to do the job. It has been observed that companies spend less than 10-15% of their time in ascertaining the capabilities of their stall fabricator to execute the design by meeting the quality standards set by the company. In fact, more time is spent in negotiating the budget than in ensuring the quality of work. While it is important to design a stall within the allotted budget, it is also prudent to do a little bit of homework on the workmanship of your exhibition stall fabricator before committing to them. The simple step of exercising due diligence while selecting your stall fabricator would go a long way in mitigating the risk of ending up with a poorly fabricated stall that does not meet your standards or expectations. This is not a call to avoid working with smaller stall fabricating companies. Inspecting their workshops and checking their portfolio can give you a fair idea about their quality of work. Talking to some of their past customers would also help you get a clearer picture of their professionalism and competence. It is true that no stall fabricating company can guarantee that absolutely nothing will go wrong. The question here is – are they experienced and professional enough to deliver on their promises without compromising the quality within the stipulated time and budget? If the answer is yes, then you can go ahead and hand over the job to them. Just make sure that they are prepared to take care of any contingency that might spring up during the installation or the dismantling stages. It is always preferable if the fabricators have an in-house team to do the installation and dismantling jobs. That would lessen your headache a lot. Designing and fabricating an eye-catching exhibition stall is a task that requires a lot of skill, creativity, and experience. Assigning this job to a reputed and professional fabricating company will ensure that the money and other resources you have invested in this project will not go wasted. On the other hand, it would help broaden your business horizon by engaging new and possibly long-term customers.